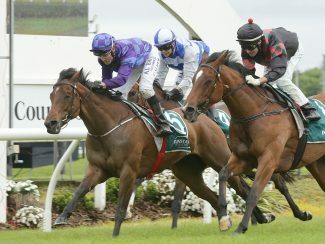 Under-rated mare Bisou Bisou pulled off a major upset when she produced a powerful finishing burst to claim victory in the Gr.2 Dunstan Feeds Auckland Thoroughbred Breeders’ Stakes (1400m) at Pukekohe. 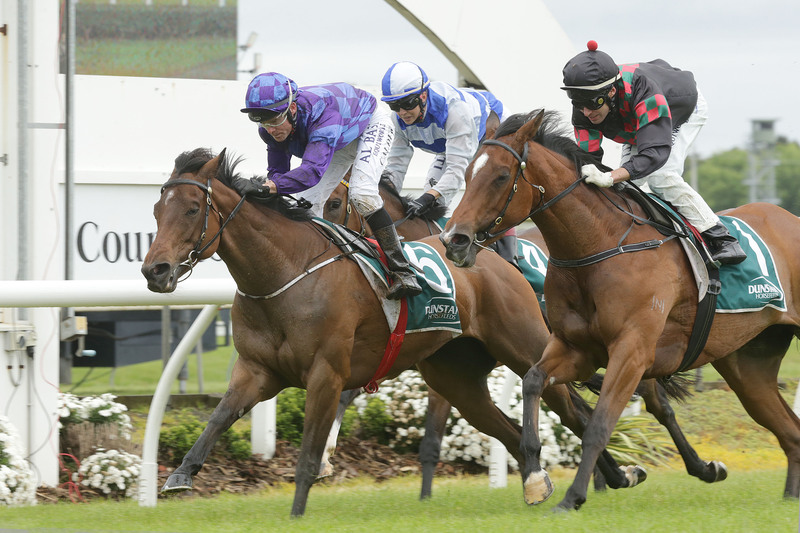 The seven-year-old mare continued her unbeaten run for new trainer Nigel Tiley after scoring at her stable debut over 1200m at Ellerslie on Melbourne Cup day. Bisou Bisou has done the bulk of her racing from the Wanganui stable of Kevin Myers but was transferred to Tiley by her owner/breeders, John and Di Bowbyes, for a change of environment in an attempt to secure some valuable black-type for her future career as a broodmare. Tiley was quick to admit he wasn’t overly confident of securing victory in the high-class field but had been hoping for a good showing off the back of the mare’s convincing Ellerslie performance. “She was racing down the (west) coast, Marlborough and places like that but she has settled in so well up here,” he said. “She’s a brave little girl and the idea was to come up here to try and get some black-type. Handled superbly by Andrew Calder, Bisou Bisou was a clear last on the inner with 600m left to run in the contest. Calder improved his charge along the rail in the straight before angling into the clear to range up alongside pacemaker Sleeping Beauty. Hotly challenged by race favourite Volpe Veloce over the final 150m, Bisou Bisou stuck to her guns to grab the victory by a short head with Sleeping Beauty fighting on well for third. “I was quite happy where she was as I said to Andrew to just let her do her own thing early,” Tiley said. “What I liked about the ride was that he didn’t come out and try and go around them. He balanced her up and came through them. “The gaps came and she did the rest.